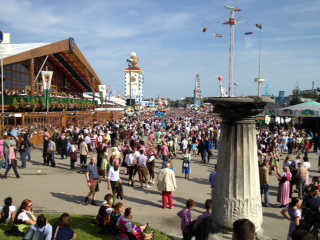 The Oktoberfest is the best known German festival, I think. Some people also call it the “Beer Festival”. And that really nails it! 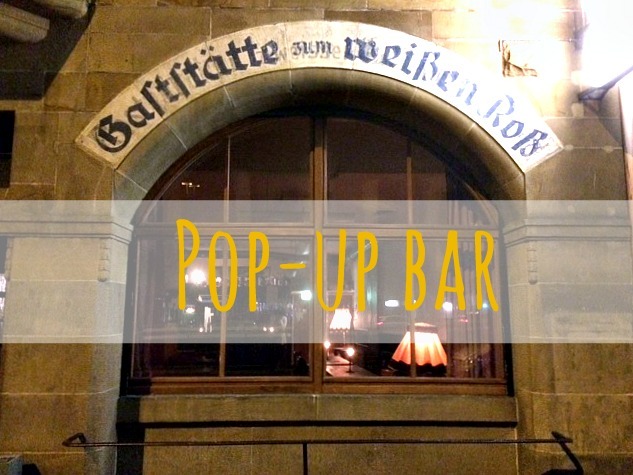 🙂 There are huge pavillions called beer tents (Bierzelte) where they play live musik and serve beer in huge glasses called Maß. 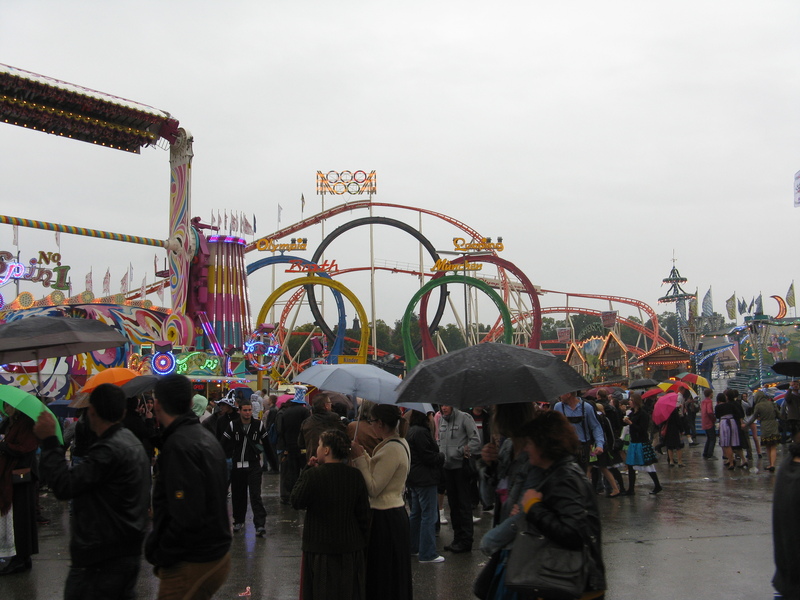 It takes place each year for 16 days in September and Oktober in Munich on the Theresienwiese. On Saturday, I drove from Stuttgart to Munich, which takes about 2.5 hours. 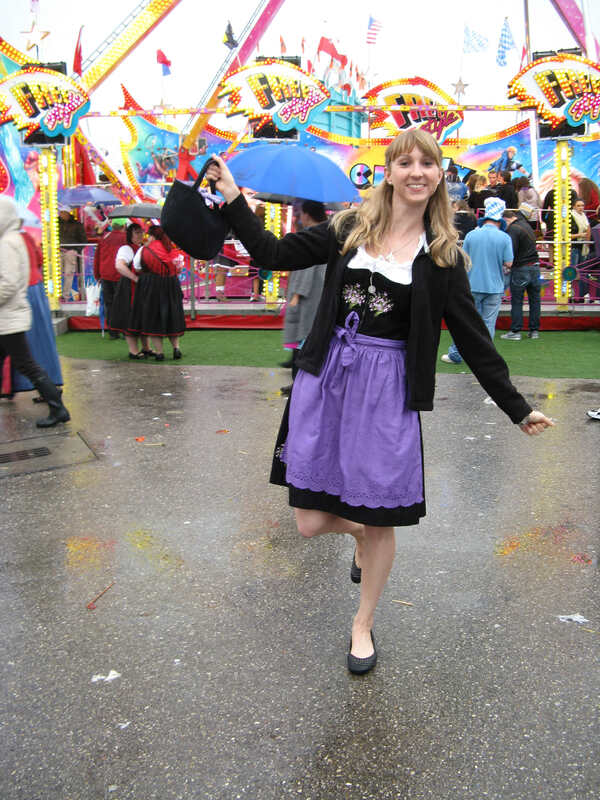 I arrived in the afternoon and Cathy and I started to get dressed for an exciting evening at the Oktoberfest. We both wore Dirndl, a traditional dress from the south of Germany. Unfortunately, when we stepped outside, it was pouring with rain. 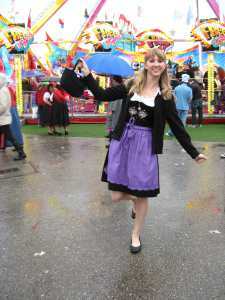 But hey, Oktoberfest is only once a year so we decided to go nevertheless – maybe it will get better soon, we thought. Well, how wrong we were. 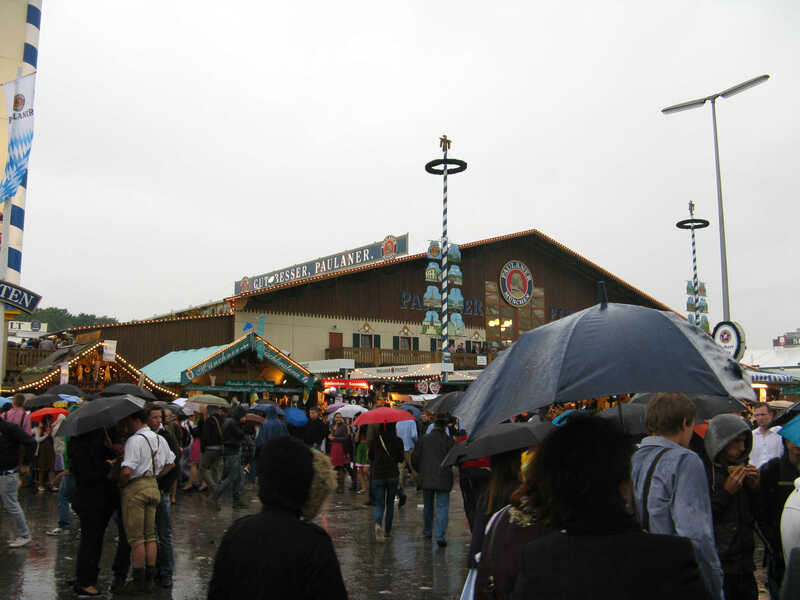 When we arrived at the Theresienwiese, it was not only pouring, the wind was blowing very hard and it was freezing cold. 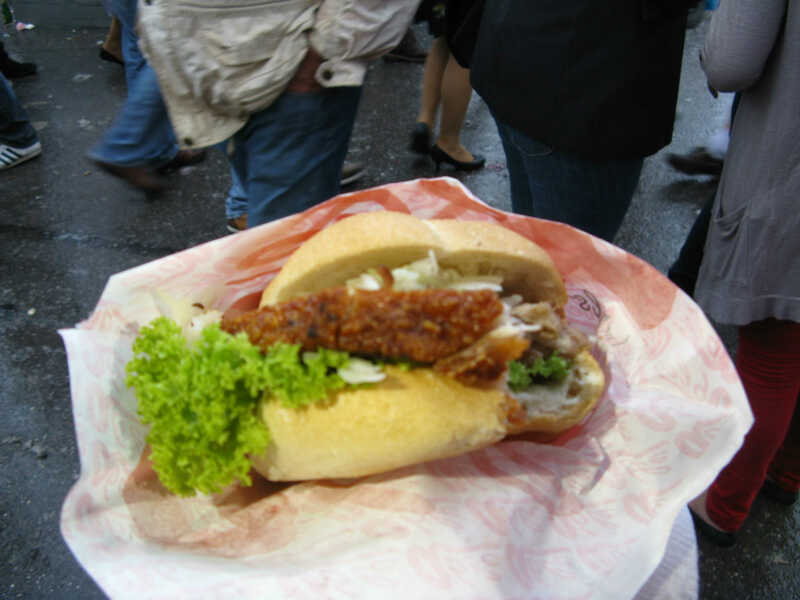 We walked over the Oktoberfest, had a Burger with Schweinshaxe and got really soaked within one hour – so we decided to be wimps and call it a day. If you wonder now, why on earth we did not go into a beer tent, where it should be warm and dry and amazing – well, if you have no reservation, you need to show up around 7 am on the weekend to get the chance to go inside at all. And as we arrived at the festival around 4 pm that was no option. 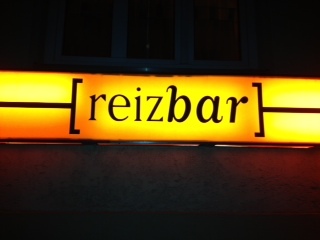 The reizbar turned out to be a very small bar with a very large cocktail menu. 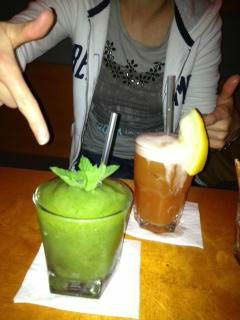 A lot of their drinks got awarded, too, so I was very excited. We started reading the first ten or so pages of the menu when the barceeper came to our table and asked whether we needed help. Well, we did and he recommended us two cocktails: “Mint-Peach-Daquiry” for Cathy and “Lustgewinn” for me. Hello and welcome to "living in Stuttgart". I am Mel and I love this beautiful city. There are so many things to explore, I can't wait sharing them with you. So come along and let me show you Stuttgart the way I see it. 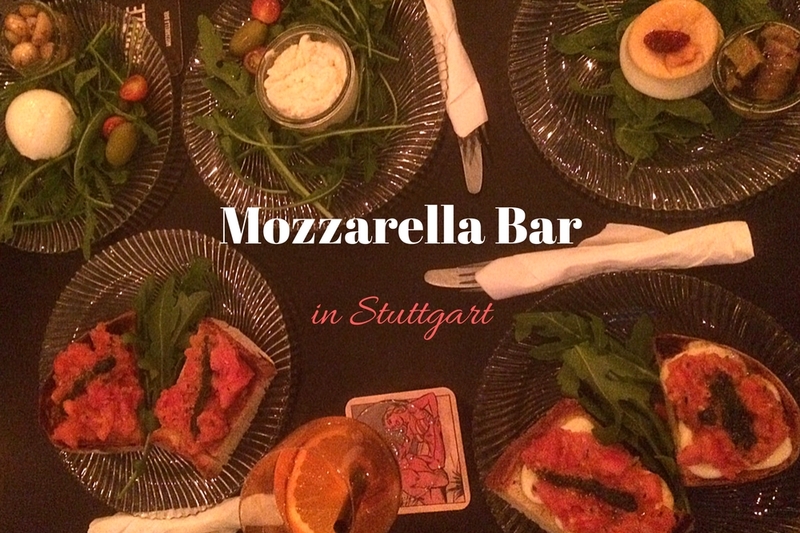 Mozzarella Bar in Stuttgart – Best. Cheese. Ever! Next PostBeer festival Stuttgart: A sunny afternoon stroll over "Cannstatter Wasen"
Welcome to Living in Stuttgart. 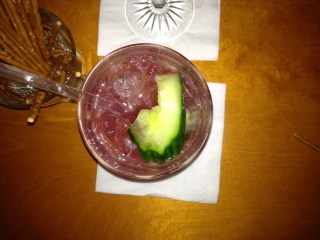 I am Mel, the auther of this blog, and I am thrilled to have you here. 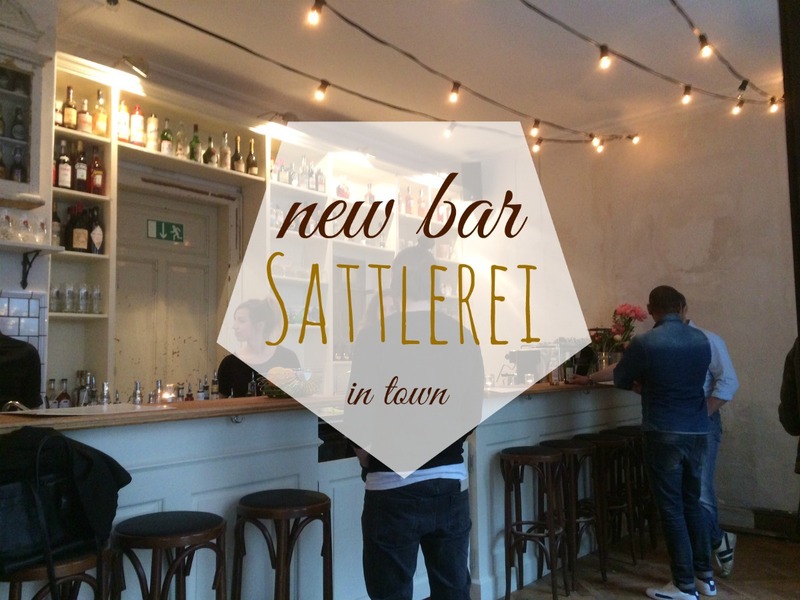 On Living in Stuttgart we point out events, places of interests, services and such. These recommendations could be called unpaid advertisements. If not marked as “Sponsored Post” or “Advertisement” all the recommendations are not paid for. 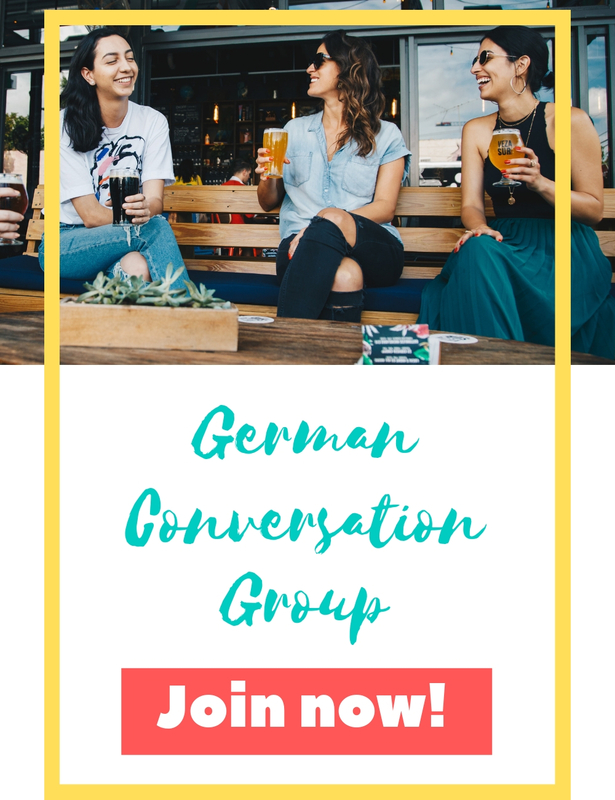 We simply think these events, places and services might be of interest and benefit for you, based on our personal experience. © Living in Stuttgart 2019. All Rights Reserved.